Even in the land of celebrities girls can get protective of their boyfriends! Apparently Jennifer Lawrence is worried that Kristen Stewart will be in hot pursuit of her man, the beautiful Nicholas Hoult, since the two of them are due to appear in a new film together as a loved up couple. We never pegged Jen as the jealous type! 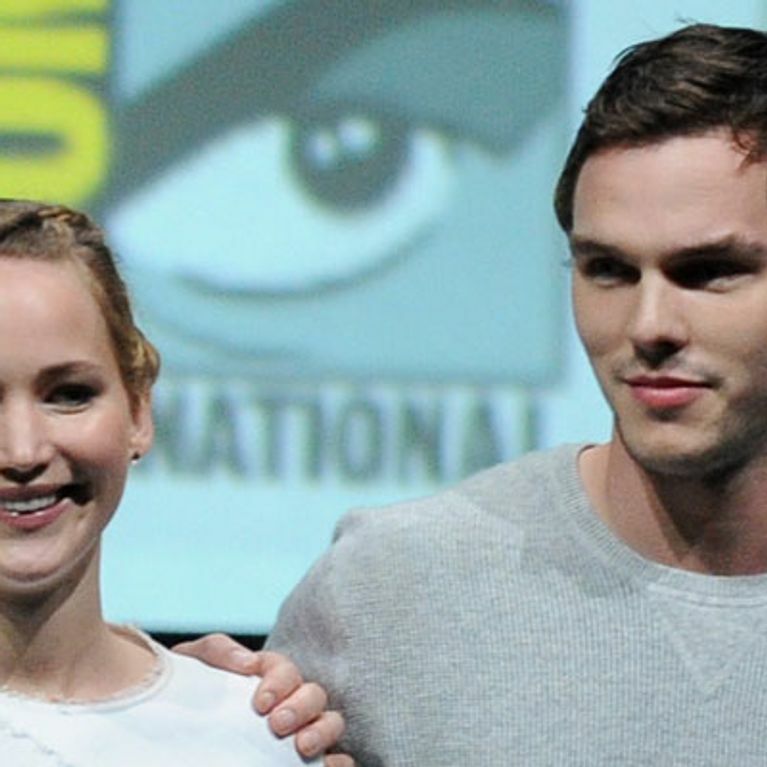 Apparently Jennifer Lawrence is worried that Kristen Stewart is planning to steal her boyfriend, Nicholas Hoult. Kristen and Nicholas will be spending a lot of time together on set for their new film, an adaptation of George Orwell’s 1984 which will be called Equals, in which they play a couple. Aw, really? We can’t imagine JLaw to be so protective, and poor old Kristen has been single ever since the drama with Rob Pattinson! A pal of Lawrence’s apparently told Gossip Cop that the story isn’t true, labelling it as “ridiculous” and it looks like Nicholas and Jennifer are totally head over heels for each other moment, particularly after they went to the Golden Globes together. Does that sound like the behaviour of a green-eyed monster to you? Wow, better chemistry than a real-life couple?! Nicholas Hoult snubs Jennifer Lawrence for Elvis' granddaughter Riley Keough?